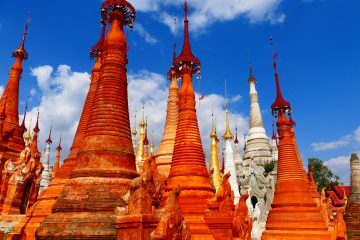 Myanmar has been one of those destinations that has intrigued travelers for many years. While more and more people are traveling the region, there are still loads of facts, cultures, and traditions that people are still discovering. 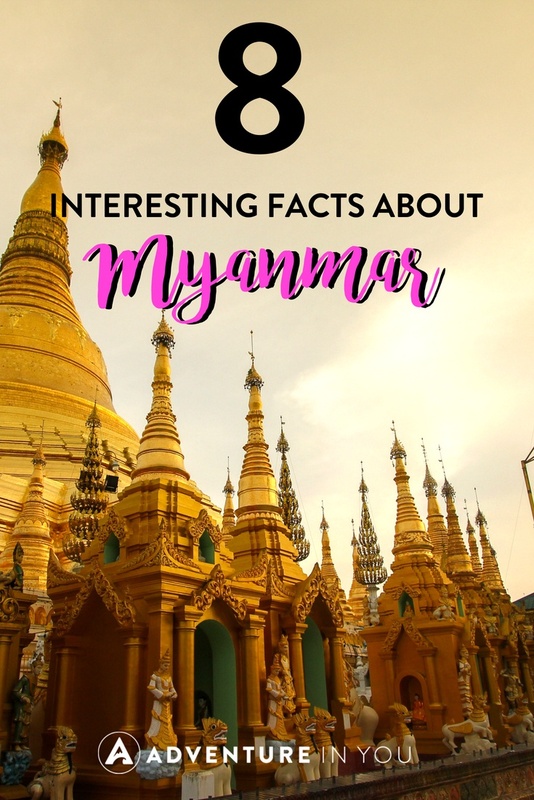 To help you get excited about your trip to Myanmar (or if you’re like me who just loves reading about other countries), here are a few interesting facts about this country in South East Asia. The Beaches in Myanmar are Beautiful- and They Have Gypsies! When you walk around the rural areas or even in the main cities, it is very common for you to see a yellowish chalk covering the cheeks of both adults and children. Sometimes painted on as swirls, thanaka is a pale yellow paste made up from ground tree bark. This is applied to help cool the skin, protect you from sun damage, and even helps keep the skin smooth due to its natural oils. This tradition has lasted for over 2000 years and is very much a part of their culture. It is made by grinding the bark, wood, as well as the roots of the thanaka tree which is then mixed with small amounts of water until it forms a paste-like consistency. When in a restaurant, it is very common to hear locals make the kissing sounds to call the attention of the servers. So don’t be offended or surprised if you hear the sound of lips puckering during your meal. 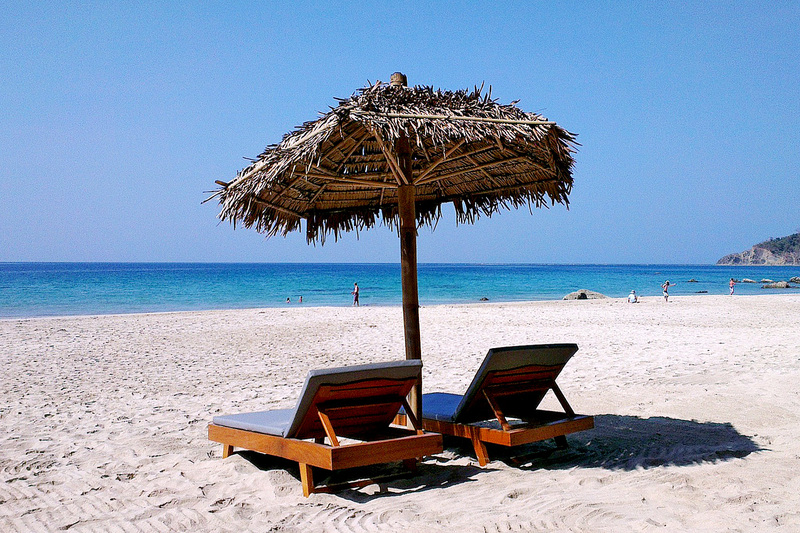 Whilst the beaches of Thailand, the Philippines, and Indonesia overshadow Myanmar, what most people don’t know is that the beaches in Myanmar can give these other countries in Southeast Asia a run for their money. However, aside from beautiful stunning beaches, another unique feature of Myanmar are their local sea gypsie tribes. 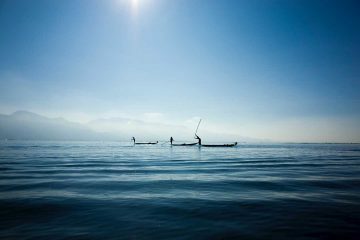 The nomadic Moken tribe used to sail the Andaman Sea located between the Mergui Islands and Thailand’s southern regions while living on their boats. Due to the fact that Myanmar has just opened its doors to tourism, the Moken tribe’s traditions are is still very much intact unlike the sea fairing tribes of Thailand. Typically, they spend most of their time at sea and only dock during the monsoon season. 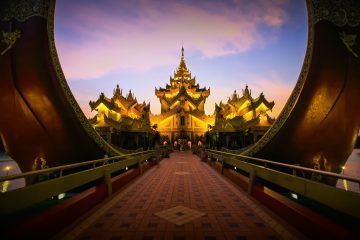 Contrary to popular belief, Yangon isn’t the capital of Myanmar. Located around 300km away from Yangon lies Naypyidaw which is now the newly named capital city. Similar to Thailand, the women in the Kayan Tribe are still practicing the ancient tradition of elongating their necks. A full set of rings weighs an astonishing 10 pounds or so and is considered as a beautification ritual. In fact, the long neck villages in Chiang Mai, Thailand had originally come from remote villages in Myanmar. Originally from the Loikaw, Kayah State, the women would elongate their necks as a status symbol but also as a way to protect them from wild tigers. Back then, they would wear these rings on their necks as well as their arms and legs. The rings are placed on girls at the age of five and is very much a part of their culture and tradition. 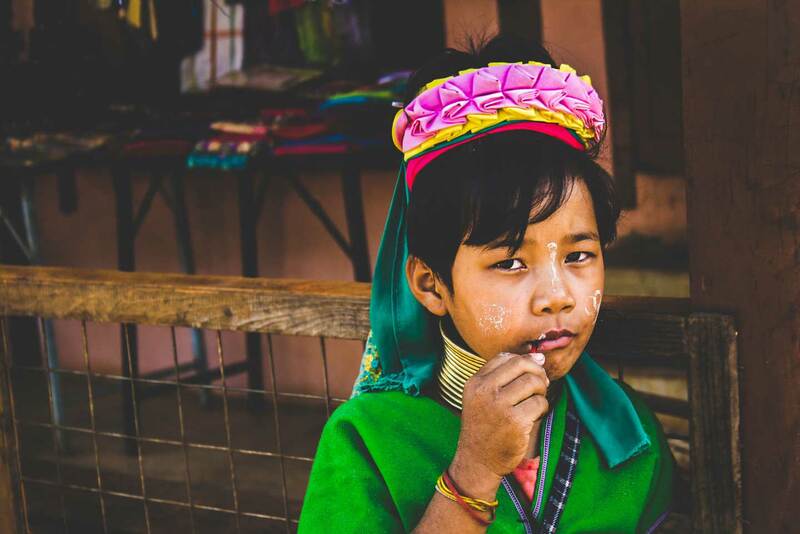 Whilst the long neck tribes in Thailand are now becoming commercialized (with the long neck women being treated as tourist attractions), the tribes in Myanmar are still in remote villages and are not affected by mass tourism. 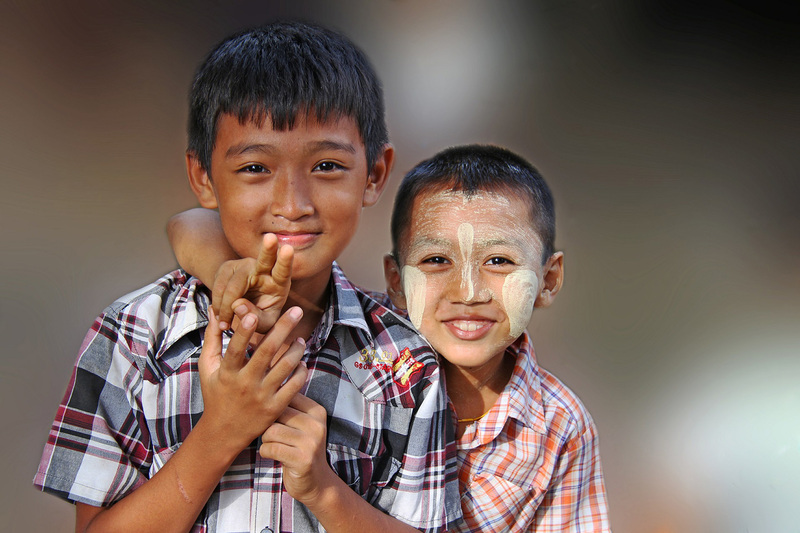 Home to over 135 different types of ethnic groups, Myanmar is ranked as the 75th most diverse country in the world. While there are loads of ethnic groups, there are 8 main ones which is basically made up of: Burman 68%, Shan 9%, Karen 7%, Rakhine 4%, Chinese 3%, Indian 2%, Mon 2%, other 5%. Recently, Myanmar has been experiencing a lot of criticisms from the outside world due to the injustices that are being done to the Rohingya Muslims in the Rakhine state. To date, hundreds of thousands have fled to Bangladesh to escape the violence. 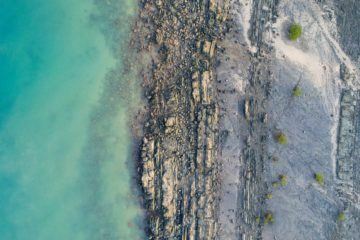 While tourism there still continues as the country is still considered safe to visit, it has stuck an ethical debate between travelers. While a lot of countries in Southeast Asia have temples and pagodas, Bagan takes it to a different level as it houses the largest and densest concentration of Buddhist temples, stupas, pagodas, and ruins in the world. The temples of Bagan are an impressive sight and is something that is considered as a must see when in the country. If you want to see it in style, there is no other way than to go on a hotair balloon as you glide on top of these ancient relics as the sun rises above you. The entire experience is nothing short of magical. 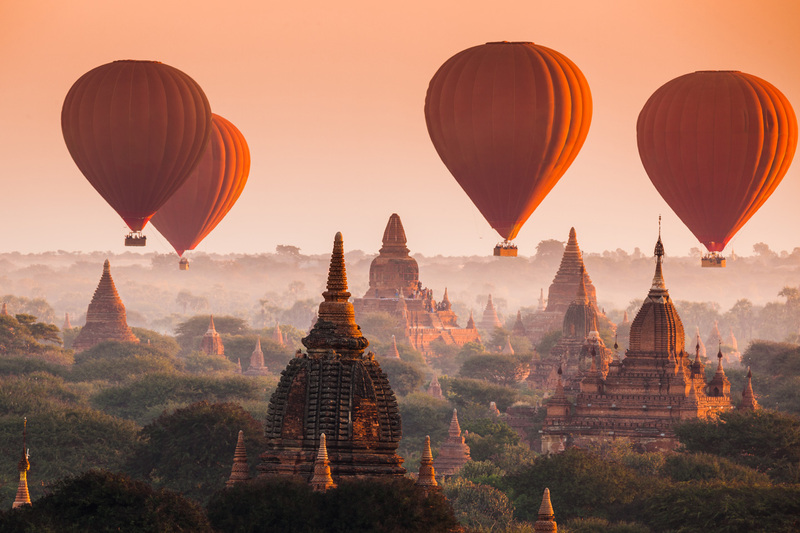 Take a look at these hot air balloon tours over Myanmar to see if you can squeeze it in during your trip. A longyi is a colorful sheet of cloth sewn in a cylindrical shape and is often worn by both men and women. Having gained popularity during British colonial rule, effectively replacing the paso and htamein of precolonial times, the Longyi is a traditional ware, similar to the sarongs that is a lot more well known in Thailand and even the Philippines. I could go on and on as there are so many interesting facts about Myanmar but rather than doing that, I urge you to make a trip and include it in the places to visit in Southeast Asia. It is an incredible country with a wide variety of things to do.